If your vehicle didn’t come equipped with a wireless charging pad, don’t fret about it. 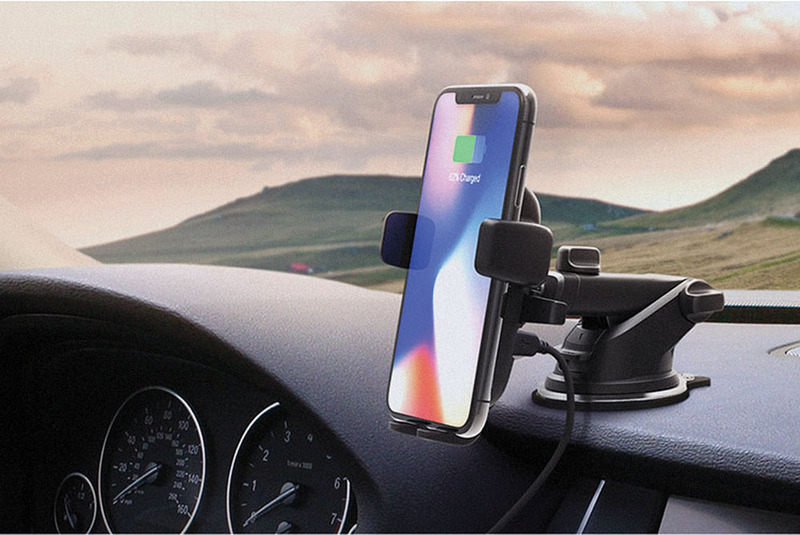 iOttie makes The Easy One Touch wireless-charging system that also doubles as a cell-phone mount. Actually, iOttie sells three different versions: a dash and windshield mount; an air-vent mount; and a model that you insert into a CD player. Each iOttie plugs into your car’s USB port and each can be pivoted up and down or from side to side to provide you the best viewing angle. They also work with smart phones of varying sizes, including Samsung, LG, Sony and other Android models, as well as Apple iPhone (8 and newer). All Easy One Touch products are priced at $60 and can be ordered from www.iottie.com. To cap it off . . .